At the corner of Church and Main Street, you’ll find Sushi House, a wonderful surprise here in the heart of Brampton. With its cool, coloured interior and simple design choices, Sushi House is a wonderful delight. Booths and private rooms on elevated platforms are available and an open sushi kitchen showcases the freshness of the fish. 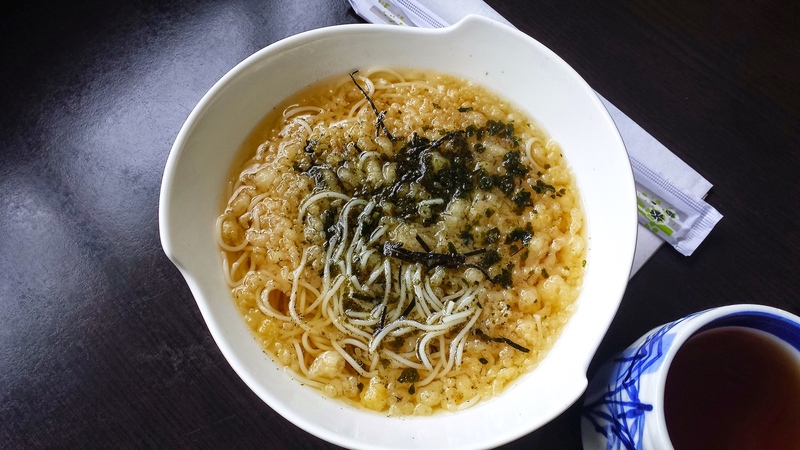 Each meal begins with complimentary House Crunch Noodle Soup and green tea. While a change in management has come with extra cabbage in my favourite dish from here, Spicy Beef Bulgogi (14.95), it is still delicious, both sweet and spicy. This includes fresh and wonderfully textured california rolls on the side, as well as assorted tempura. Their tempura is not too greasy and their sushi has complex flavour and wonderful texture. 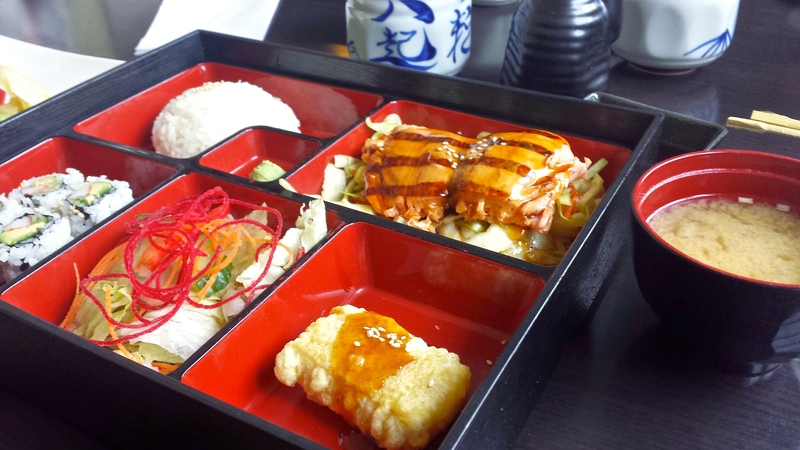 Umami rich Miso soup and a crisp salad with a light yet bold vinagrette round out the bento box. The Salmon Teriyaki (15.95) features some of the best fish here in Brampton. Their prices are reasonable for the portion sizes and the food itself is very clean and light. 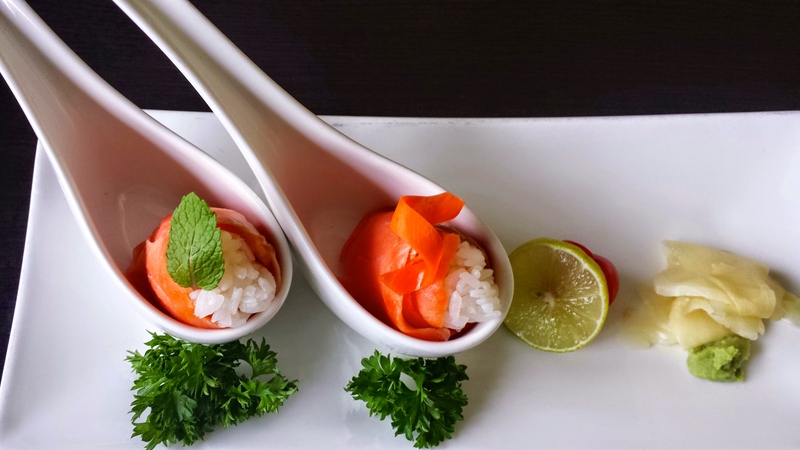 Sushi House serves a range of classic Japanese dishes, from classics like teriyaki, sashimi and sushi to comfort food like chirashi and Korean dish, bi bim bap. Their romantic atmosphere and fair prices pair nicely with their tasty food and excellent service. Check them out for good meal in downtown Brampton. FYI bibimbap is a Korean dish; not Japanese.